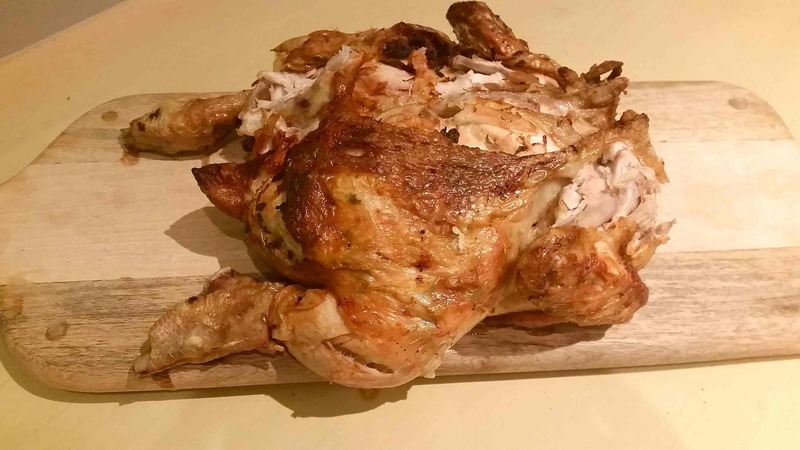 Dawn: An alternative way of cooking a whole chicken other than roasting it or placing it in a casserole is to butterfly it. Andrew: This means cutting it open and spreading it into two halves joined in the centre like a butterfly. Dawn: If you buy from a butcher, you can have it done there, but as most of us buy from supermarkets these days, here is our simple guide to doing it yourself. Andrew: Care is needed here. A sharp knife is essential as a blunt one is more likely to cause an accident. Strong kitchen scissors are another useful tool here. Dawn: Once finished you have a bird that can be cooked in a deep frying pan, on the griddle or even on a barbecue. Andrew: You can also stuff herbs, garlic, bacon and butter under the skin to provide an incredible flavour boost. 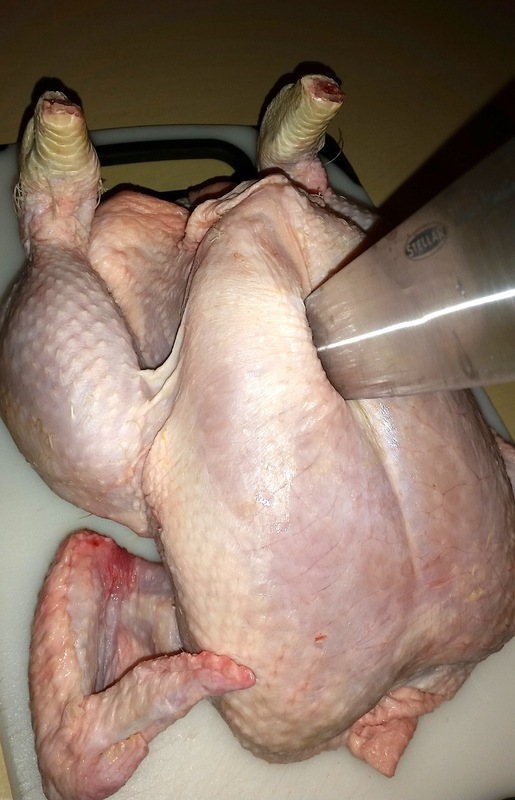 Remove the chicken from its packaging. 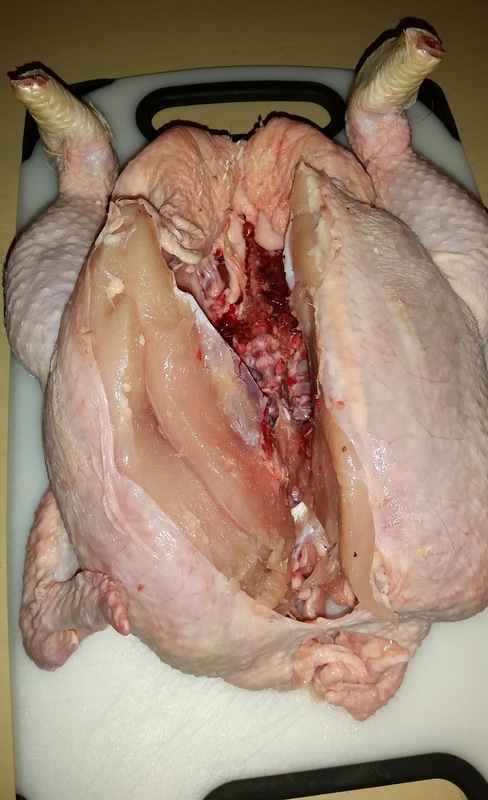 Place on a clean chopping board breast up. Dislocate the legs and wings by twisting them. 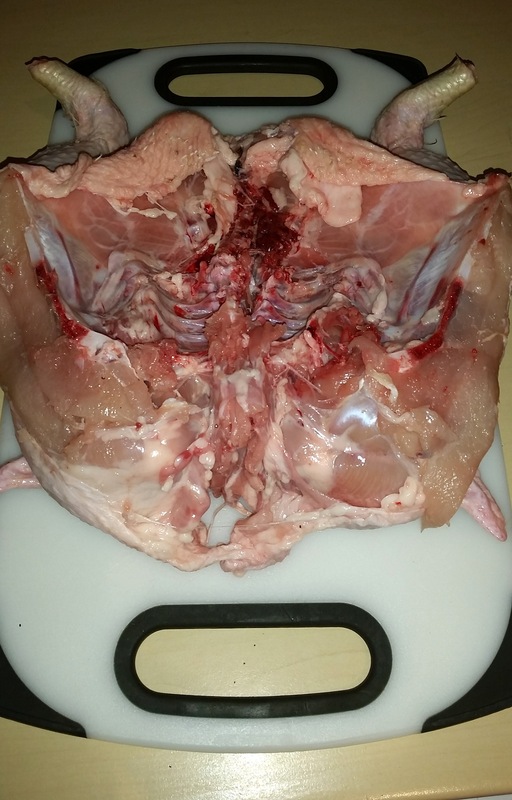 Take the largest and sharpest knife you have and cut straight down into the breastbone. You should here a crunch as the bone breaks. Continue to cut down, right to the neck. Turn the bird and cut down to the Parson’s nose. 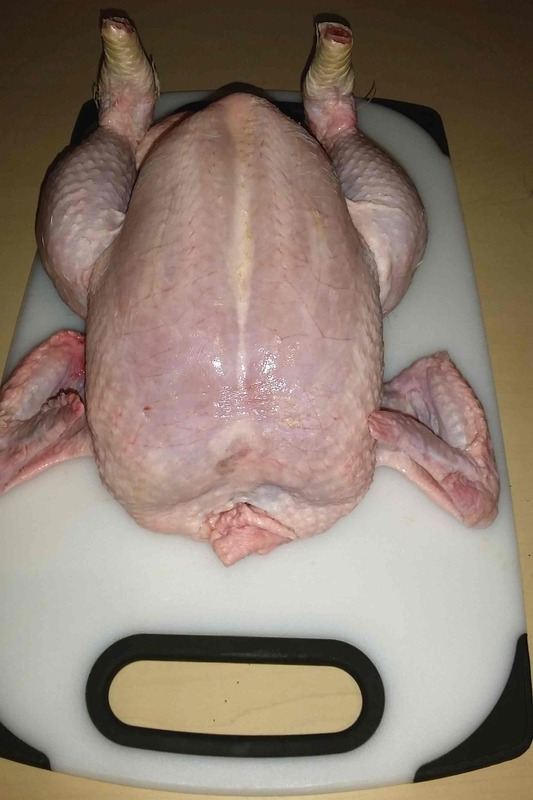 Ease the bird apart with your hands then flatten it as much as you can which will help in the cooking process. 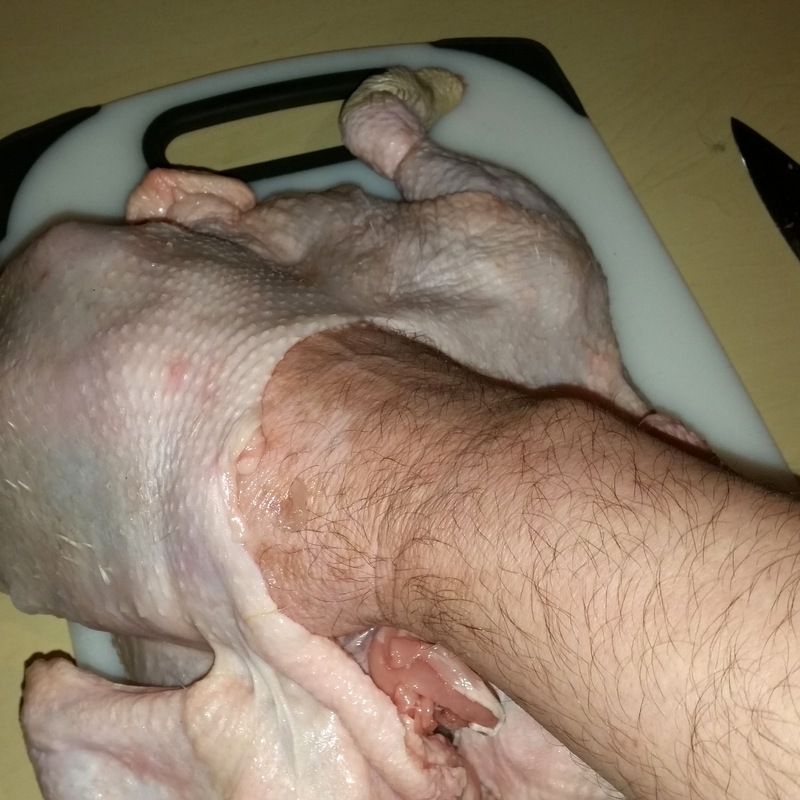 If you wish to stuff under the skin, gently work your fingers under the skin to break the membrane between skin and flesh being careful not to tear the skin. Move your hand side to side and use our fingers to reach right under the skin of the legs.